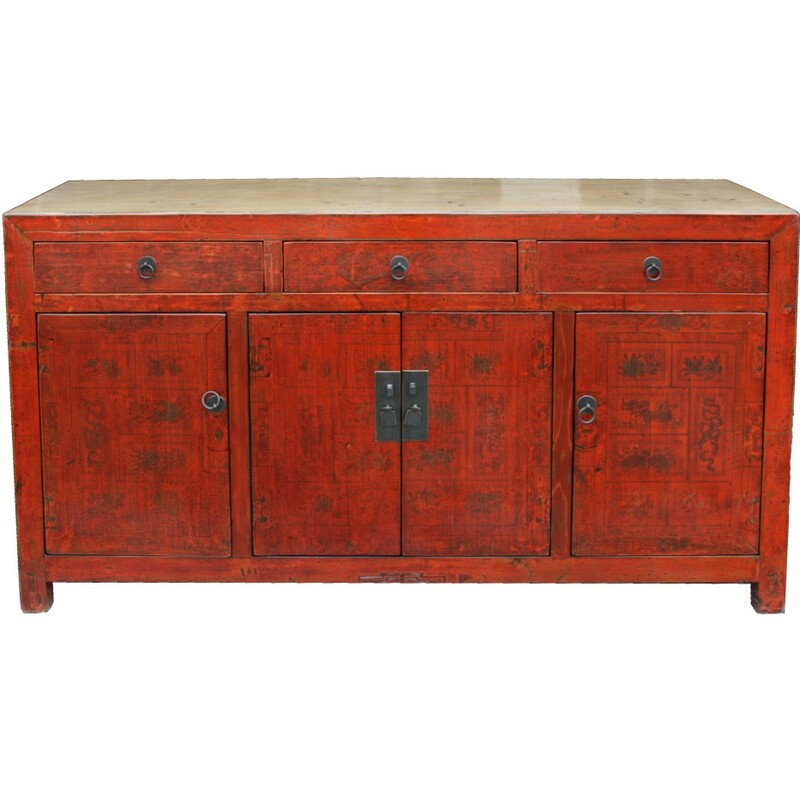 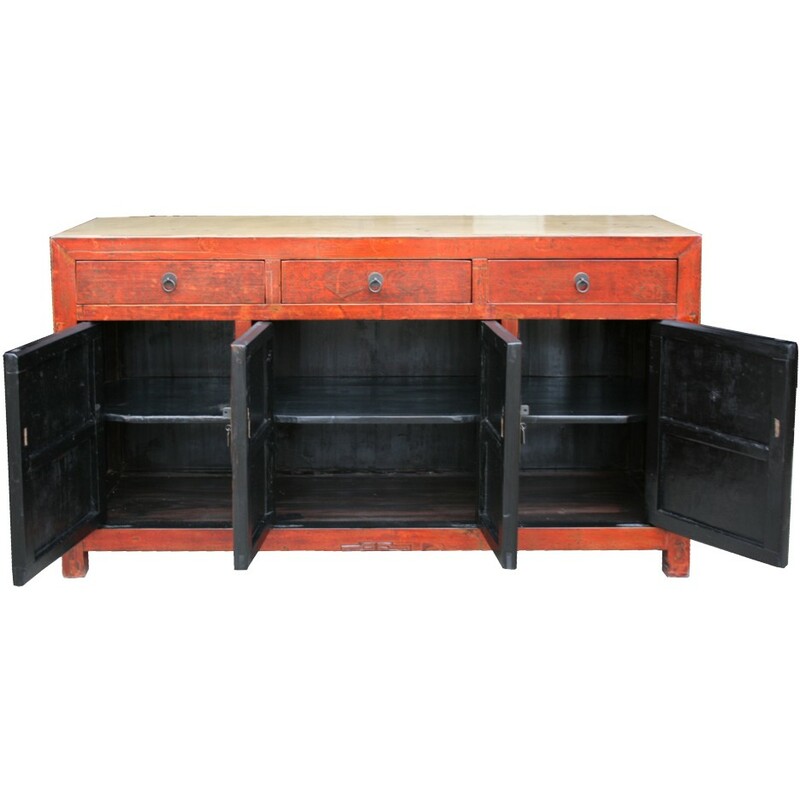 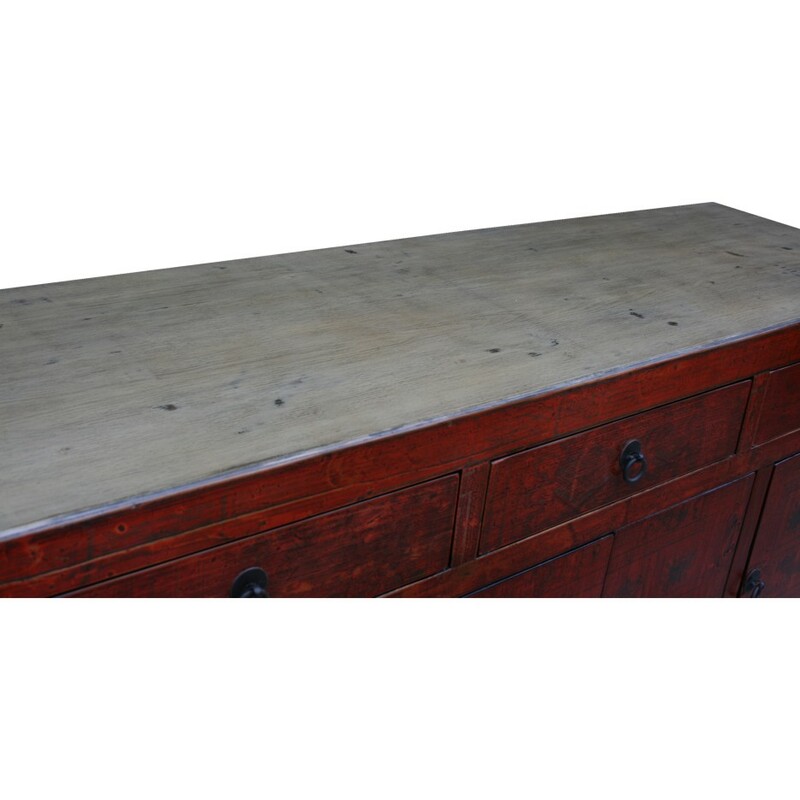 This is a beautiful example of the traditional design of a Manchurian sideboard from North East of China. 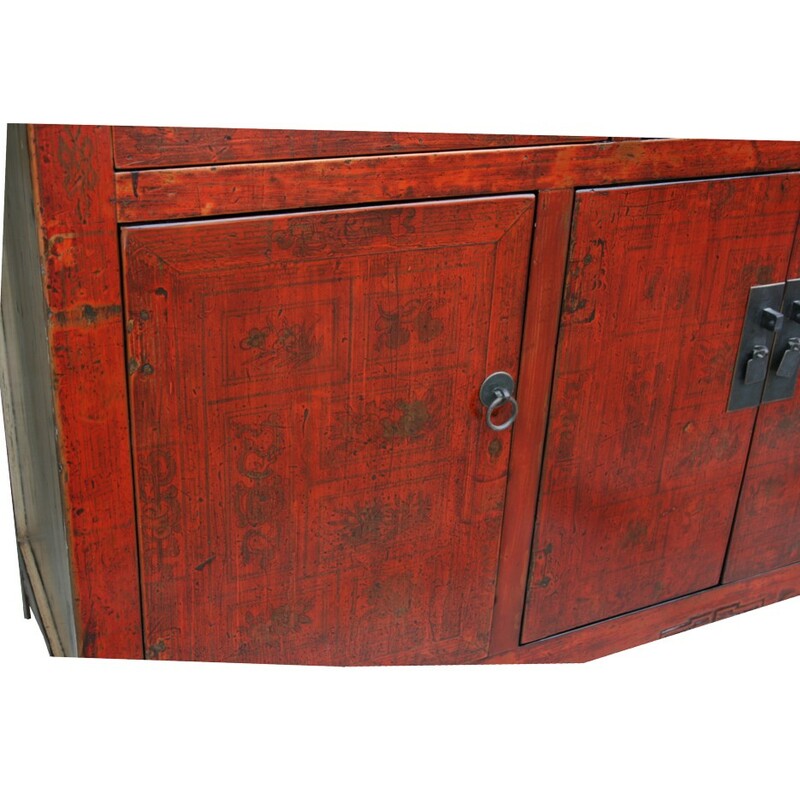 Housing a double cupboard which can be fully opened. 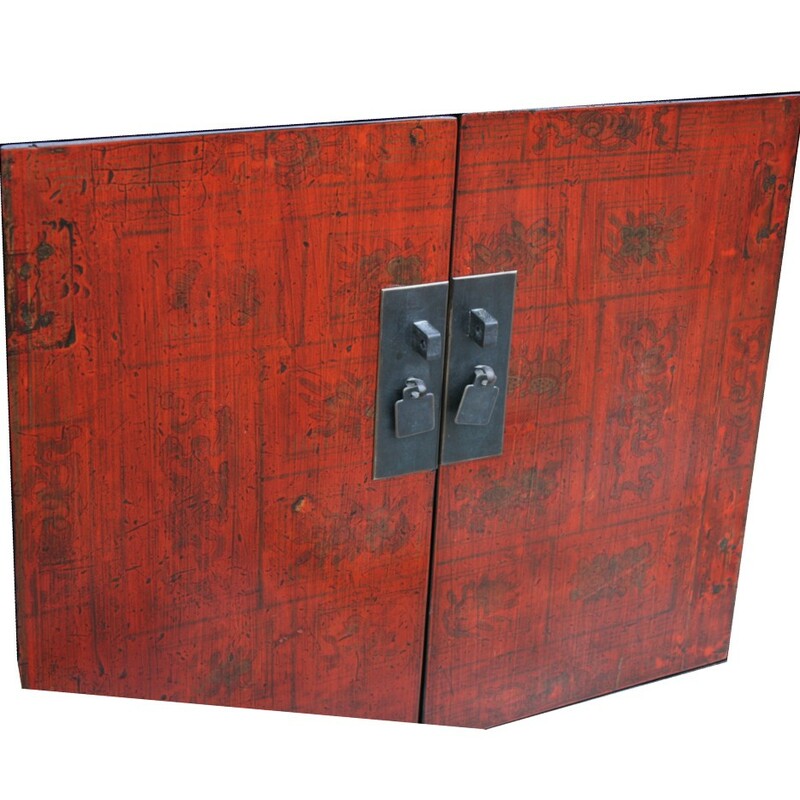 As with most Asian furniture, solid brass hardware adorns the doors, in this case delicate tab handles. 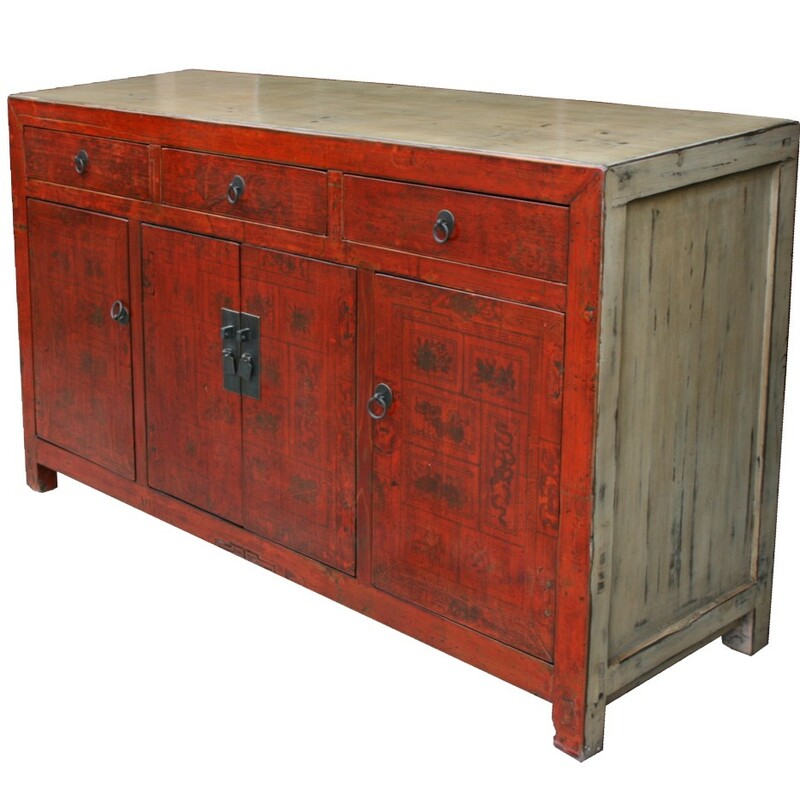 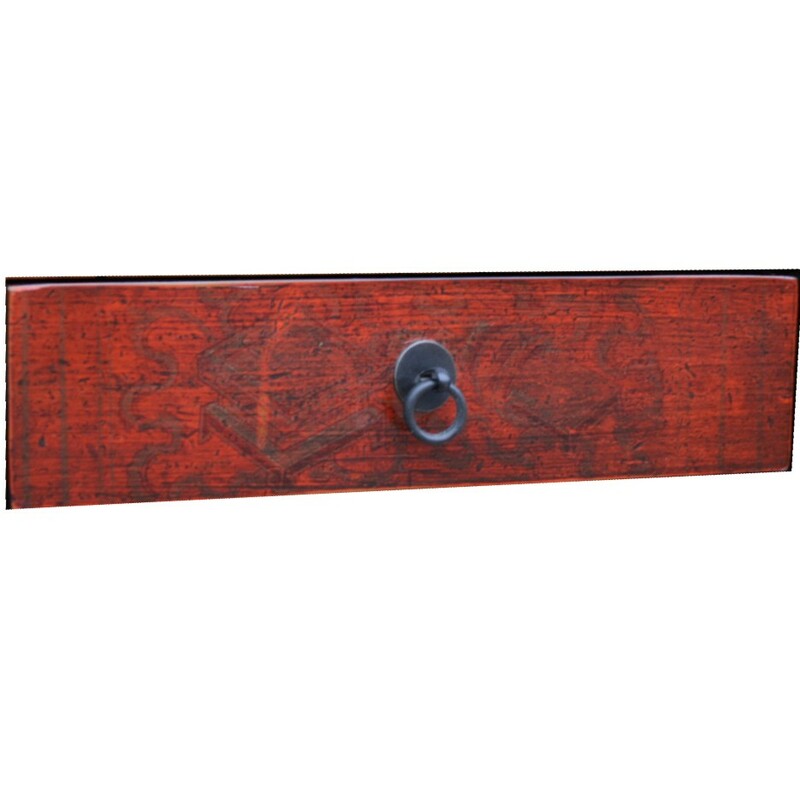 This restored one off antique cabinet is a stunning example of the traditional Chinese cinnabar deep red lacquer, which is decorated with gold delicately hand-painted geometric designs on the frame, the doors are hand-painted flowers and birds, representing the character of moral integrity, resistance, modesty and loyalty. PLEASE CALL FOR DELIVERY COSTS IF YOU ARE OUTSIDE SYDNEY.